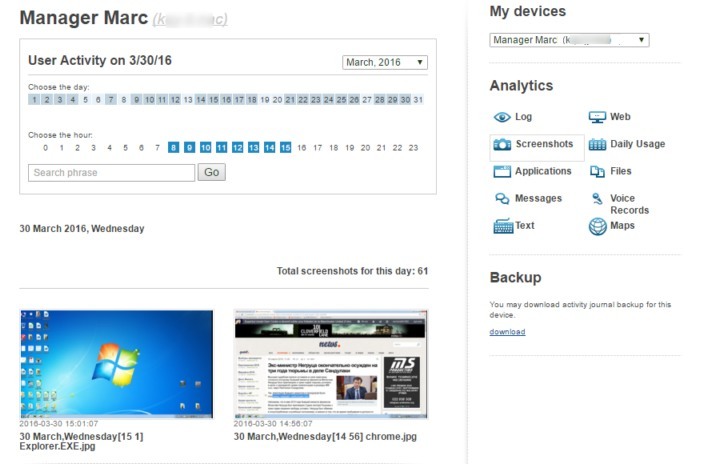 Screenshots are images of what’s on an employee’s screen, regularly taken at a defined interval. StaffСounter can also take photos with the camera attached to the computer. With the help of these reports you can readily see what your employees are up to while you’re not there, what tasks they are working on, and what programs they are using.